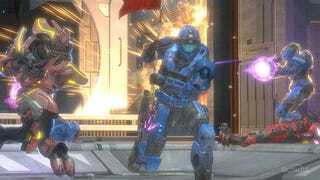 Halo: Reach got a fresh injection of new maps earlier today courtesy of the Noble Map Pack. Why many of us are content to play within the confines of Bungie's three new maps, others would prefer to explore. YouTube user and Halo: Reach superfan TheMightyPnut takes us on a trip beyond the bounds of normal Noble Map Pack exploration, a mini-tutorial on how to break through the walls set up by Bungie. If you'd like to see the Noble Map Pack as Bungie probably never intended, watch Breakpoint, Tempest and Anchor 9 get broken. Or, if you'd simply like to let us know what you think of the trio of new maps, we'd love to hear it.